Looking for any Unbreakable Bottle? Try this Cello H2O Unbreakable Bottle, 1 Litre, Set of 3. 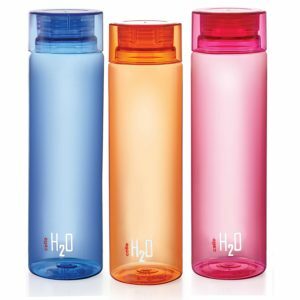 Amazon is selling Cello H2O Unbreakable Bottle, 1 Litre, Set of 3 at Rs 279 SO, Hurry up! !